Quite a good signal this afternoon. 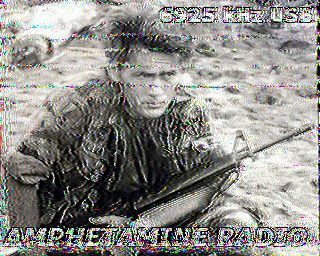 Hearing Amphetamine here on 6925, weak signal via Maryland SDR...music at 1818 UTC. 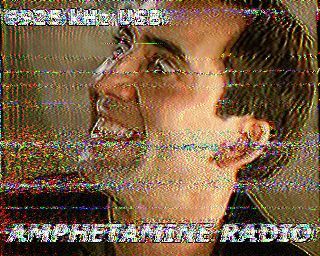 "You are listening to Amphetamine Radio it is now 1851 UTC" followed by music. Seemed to be off about 5 minutes later though sounds like yet another station was beneath. 1915 UTC then 'Conquistador' by Procol Harum. 1920 'Twilight Zone" by Golden Earring. 1928 'Turbo Love" Judas Priest. 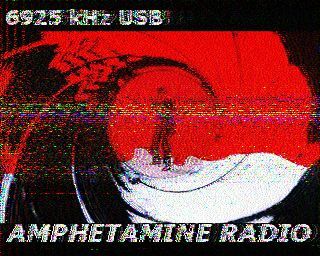 on HFU "Afternoon show here with Amphetamine Radio.....pirate radio"
HOPING FOR AN AMPHETAMINE RADIO eQSL! 1827 - hearing this on my Kiwi at S6 on peaks with what sounds like audio from a movie. 1842 - signal improved, peaking to S8 at times. 1923 - now peaking to S9 at times. 1941 - i am still listening and will be for as long as the broadcast remains - its delightful to hear another OP while i work on this friday. 1853 S9 +5 Nice tunes. Thanks for the weekday afternoon broadcast. 1857 no signal out west but a good one on the Σ kiwi SDR at the MA/CT boundary. Thanks for the show as always! 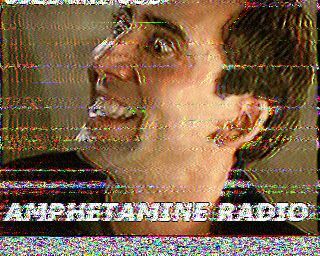 1905 SSTV - got a late start due to the need to change my sound card setting but got most of it. 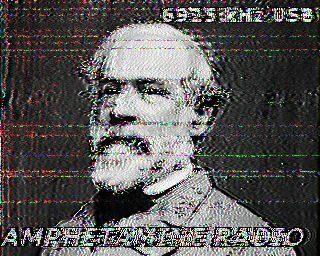 Jba @1905Z and into sstv. Occasional peaks to S8 but still noisy conditions at my QTH. Thanks for the afternoon show! 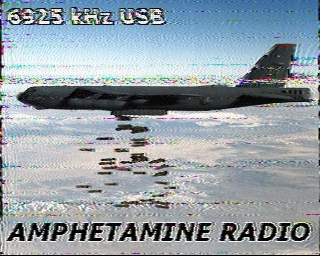 1948 - ID "You're listening to Amphetamine Radio"
2006 - ID - "Private Idaho" - The B52's!!!! 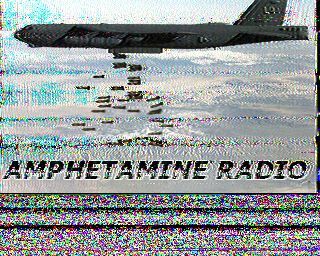 2031 - Amphetamine Radio Signing off - Playing National Anthem. Thanks for the great show!!! 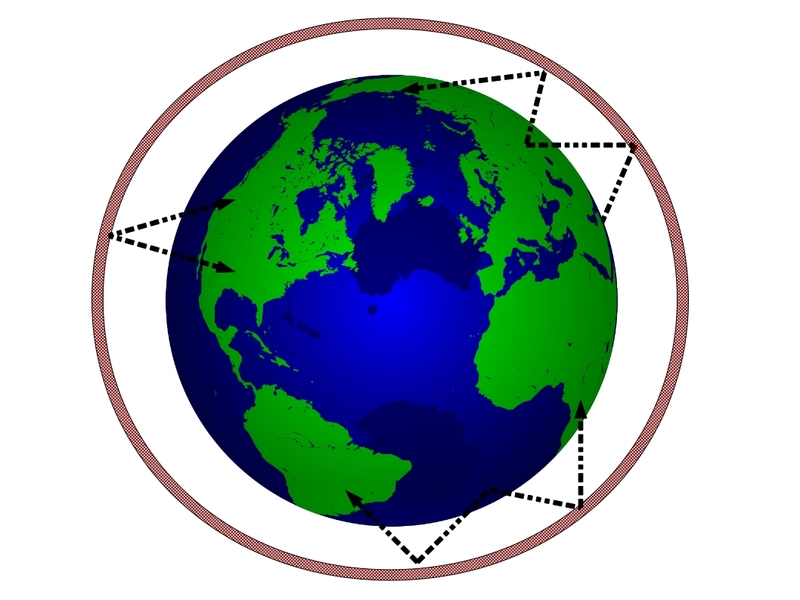 Some weak audio here since about 1844 UTC. Slightly better at 1950 UTC.